Wheat Gluten | Is it vegan? The traditional Japanese form of wheat gluten, ‘Fu’ (麩/ふ), is easy to find in supermarkets. It is either sold raw as ‘nama-fu’ (生麩/なまふ), or dry as ‘yaki-fu’ (焼き麩/やきふ). Deep-fried wheat gluten is called ‘abura-fu’ (あぶら麩/あぶらふ). Premade seitan is not well known and can be difficult to find in Japan. However, you can usually find bags of gluten in the cake baking section of the supermarket. This product is the same as vital wheat gluten flour, so it’s possible to make seitan yourself at home using it. 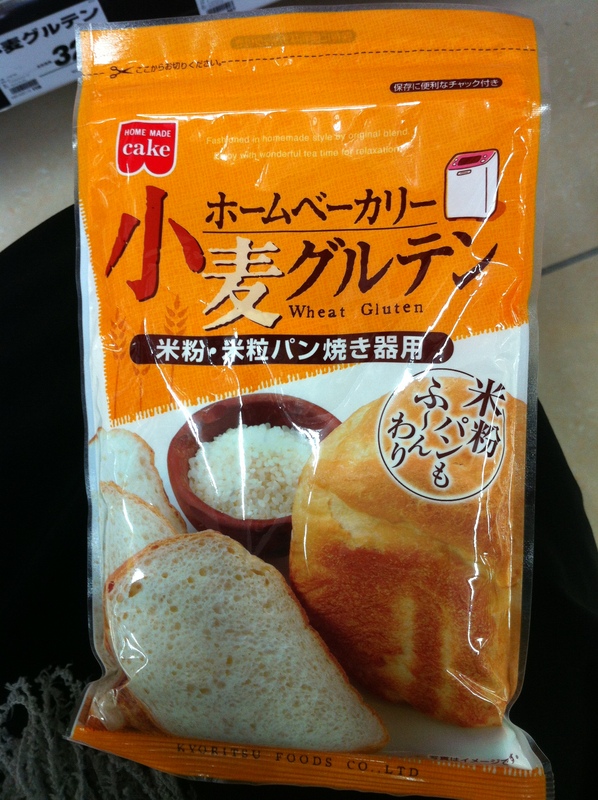 Below are some examples of gluten products commonly available in Japan. 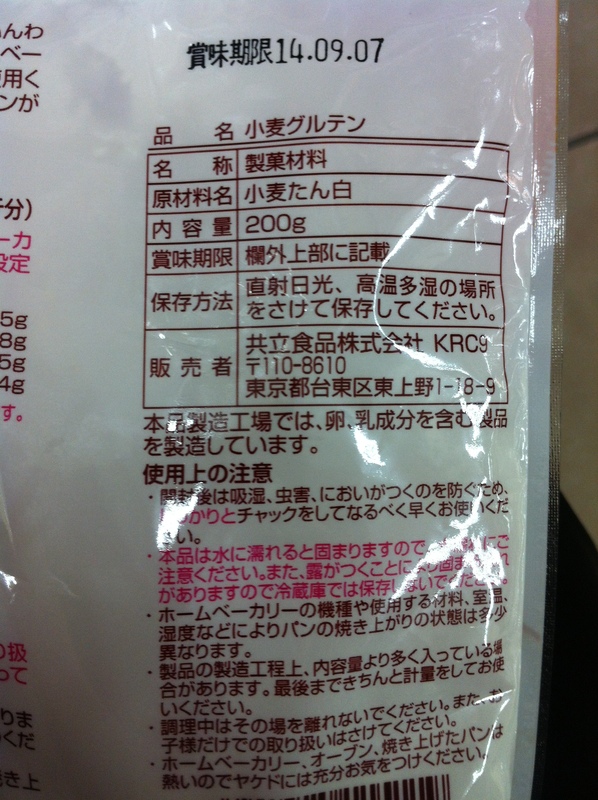 • Kyoritsu Foods Wheat Gluten/共立食品　小麦グルテン. Ingredients: Wheat protein. Manufactured in a facility that also makes products containing egg and milk. This is a flour that can be used for baking or to make seitan. It is available in some supermarkets and also on Rakuten (Japanese). • Nichiga Wheat Gluten 小麦グルテン　800ｇ　活性小麦たん白　NICHIGA　ニチガ. Ingredient: Wheat gluten. Rakuten stocks this product in 800 gram bags, and it’s also available on the Nichiga website in 800 gram,1.5 kg, or 3 kg bags. Made in Germany. • Tomiz Wheat Gluten, 60 grams/国産　小麦たんぱく / 60g. Ingredient: Wheat gluten. Tomiz, a chain of baking supply stores, stocks wheat gluten. It can also be bought from their website. Moving on to traditional Japanese “fu,” Vege Project Japan has certified Sendai Deep-Fried Gluten Slices and Sendai Miso Rusk as vegan. • Sendai-fu Deep-Fried Gluten Slices/仙台麩スライス（あぶら麩). Ingredients: wheat flour, gluten, vegetable oil (soybean oil). It is a traditional food of the Tome area in northern Miyagi prefecture, consisting of kneaded wheat protein (gluten) as the main ingredient, hand-made using soybean oil. Appears similar to small baguette slices. You can enjoy them by boiling or using in soups. Product is on the right in the photo. Photo courtesy of Vege Project Japan. Sendai Miso is used in these crisp, sweet piece of twice-baked bread. They look similar to small baguette slices. Can be eaten as-is or with non-dairy cheese or ice cream. Many wheat gluten products at the supermarket appear to be vegan from the ingredient list, but some contain vitamin E/ビタミンE (unknown source) as an antioxidant. The three products below contain vitamin E. However, the two products on the left that use pink coloring use artificial coloring, not cochineal. 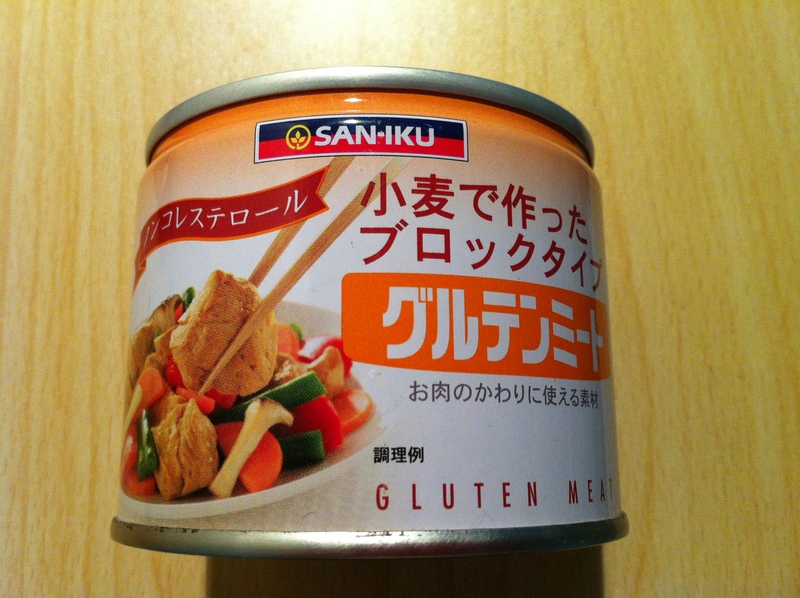 There are also specialty gluten ‘meat’ products available in some stores and online. • San Iku Gluten Meat. Ingredients: Wheat protein, soy sauce (contains soy), coarse salt, kombu extract, soy oil, sugar, hydrolyzed vegetable protein, yeast extract.